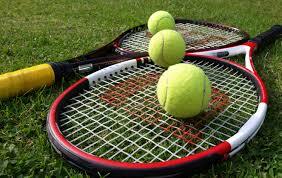 I love the game of tennis, although I have to admit that I have played little in the last decade or so. Yes, my tennis bag, containing several Head rackets, some practice balls and three containers of new balls still sits on a shelf beckoning to me, but a lack of suitable partners, lack of convenient courts and a lack of will (mostly the last I am sure) have conspired to prevent me from getting onto the court again. I last played singles with a parent from my school in Izmir, Turkey sometime in 2005 on a court at Sports International, a club to which we belonged and worked out at regularly. I also played around the same time with one of my teachers at a public court by the sea in Bostanli, Izmir. Some years before that, in the late 90’s, I had played several times on the courts at the US Embassy in Kuwait with one of the Embassy officials. But that has been the extent of my play since I left Arizona for Kuwait in 1996. Tennis is a great sport for several reasons. First of all, it is an active sport – it is easy to get the heart rate up and burn the calories. Another positive aspect of tennis is that it is a “lifetime sport” – kids play tennis, middle aged people play tennis and yes, people my age play tennis. 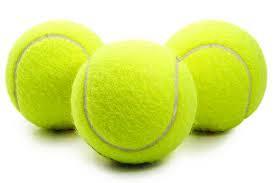 And tennis is easy to understand – the objective is simply to hit the ball over the net and keep it within the lines. And the 15 – 30 – 40 – game scoring and “love”, though not entirely logical, are easily learned. But it is sometimes a lonely sport – yes, you are playing against someone else so you can communicate with your opponent but you are not on a team – there is no one with whom to commiserate about a bad shot or a great shot from your partner unless you are playing doubles. 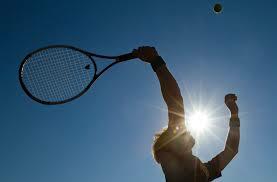 Tennis has often been compared to boxing, because in the ring or on the court, you are alone. However, tennis players have pointed out that at least the boxer has his corner people to encourage, help and provide advice between rounds. Between games or sets, the tennis player is still alone. During my earlier tennis “career” I not only played with a doubles group for many years (much more about this later) but also joined a league and played singles matches with a variety of opponents, winning some matches and losing some, ending up somewhere around the middle of the rankings. One of my league opponents deserves special mention – a guy courageous enough to play tennis from a wheel chair. And, although I do not like to think about it or admit it, I lost to him. My God, you are thinking, how can anybody lose to a guy in a wheelchair? Well it’s easy to explain – if this guy got anywhere near the ball, he smashed it with a blistering forehand or backhand with great topspin and well out of my reach. Well, it would have been easy to keep the ball away from him with minimum effort since he had to move and turn his wheelchair with both hands, while the racket rested on his lap. But….I could not bring myself to hit away from him, so unfair did it seem. So I spent virtually the entire match hitting the ball directly to him and experiencing him emphatically slam it out of my reach again and again. When I saw myself losing and realizing what a shame it would be to lose to a guy in a wheelchair, I thought I would change my tactics and begin hitting the ball out of his reach. But doing this a few times seemed so sadistic and cruel that I went back to again hitting the ball to him and of course lost the match. So there – I lost to a guy in a wheelchair. Over the years I have not only enjoyed playing this wonderful sport but also watching it on television. When the “majors” are on, I watch as many matches as I can. So over the years I have enjoyed watching the magic created on the court by the many stars who have competed in Wimbledon, the US Open, the French Open and the Australian Open. Having played the game, however inexpertly, I can appreciate the polished skills of these professionals, and imagine the great feeling in my brain, hand, arm and legs if I could only make but one of the many incredible shots they make so routinely. Before leaving this subject I need to mention a couple of my pet peeves relating to watching grand slam matches on television. First, I have a real problem with the maximum time between points rule not being enforced, especially with the worst offender, Maria Sharapova. This unpleasant, pouty and self absorbed player, who never bothers to recognize the accomplishments of her opponents, pursues an irritating ritual between points of standing facing the back wall of the court and fiddling with her racket strings for awhile, then mincing up to the service line to bounce the ball a half dozen times, then another long pause to glare at her opponent, then finally the serve. If the serve is bad, most of the ritual is needlessly repeated instead of delivering a quick second serve. Even when receiving she persists in doing the back wall stare with her back to the court, even when her opponent is ready to serve. Another relates to the irritating habit of announcers, the worst offender being Cliff Drysdale, constantly referring to the ethnicity of a player as in “the German”, “the Swiss”, “the Serb” or “the Scotsman”, e.g. “…great serve by the German…” or “…what a backhand from the Frenchman …,(or the Spaniard)!”. I find this irritating on two levels. First, I would dare say that unless it’s a Davis Cup match, most tennis fans don’t care about the country from which the player comes; they simply appreciate any player for his skill, endurance or tenacity. Second, if you extend this “Great shot by the ______” to all ethnicities, it gets a bit awkward with certain nationalities. For example, with the Japanese, Polish, Chinese or Jewish player, should the announcer say. “Great backhand from the Jap!”, “Fabulous serve by the Jew!” or “Incredible down the line forehand from the Polak!”, “What a return by the Chinaman!”? It would be much more tasteful if tennis announcers simply dropped all references to a player’s ethnicity and simply stuck to names instead. To return to my tennis narrative, it was my good fortune, while traveling in Europe in early July 1992, to be in England during the second week of Wimbledon. My son and I drove into London from the resort where we were staying, hopped on the famous London Underground, got off the train at Southfields Station and took a short tram ride to the fabled grounds of Wimbledon. There we paid our money and got in to the actual tournament which was then in its latter stages. We did not get in to see any of the big stars – I think that day Jana Novotna was playing Steffi Graff for the ladies championship – but we were able to buy tickets to see an “old timers” exhibition doubles match which included the great Romanian player, Ilie Nastase. We also got to sample the famous “strawberries and cream” and bought a handful of souvenirs to share with other family members and with my Arizona doubles group. Now, finally, about this group – from the late 1980’s (I really can’t remember when we began) to the summer of 1996 it was my pleasure to be a member of a tennis doubles group that met faithfully early every Saturday morning. Being part of this group of friends playing a game we all loved really was one of the great experiences in my life. The group consisted of myself, Joseph Arpin, Hugh Callison, and Adrian Young. About Joe, it was my privilege to first meet Joe as the Sahuaro School art teacher in 1982, when I first came to Arizona to work in Washington School District as principal of that school. We had some great times at Sahuaro and we both still stay in touch with some of the teachers we worked with there. One of my great memories of Joe’s good work at Sahuaro was sketching out and supervising the painting of huge mural of a Sahuaro cactus with a mountain horizon and a setting sun behind it on the side of our gymnasium. The actual painting was done by our junior high students, supervised by Joe and their involvement in beautifying our school went a long way that year toward improving their behavior. Joe later remained with me when I transferred to Acacia School, so our professional relationship spanned fourteen years – 7 years at each school. Our personal friendship has extended to the present day. Hugh Callison came to Washington School District in 1985 or so as our new Director of Fine Arts. I immediately hit it off with Hugh and enjoyed our many discussions of art and music very much. An accomplished trombonist, Hugh was also an excellent pianist and like most skilled musicians, could pick up almost any instrument and play it well. When the school district had to cut back because of budget problems, Hugh became a classroom music teacher and carried on his important work there, also moonlighting as a church choir director and as a piano instructor for Yamaha. Hugh also later provided the opportunity for my first rim to rim to rim Grand Canyon hike, but more about that in another article. I first met Adrian Young through my spouse who had met him in an education course she was taking. Adrian had emigrated from New Zealand, married a girl from Texas and was then an apartment maintenance man in Phoenix and taking graduate courses to become certified as an elementary teacher. Adrian was the adventurer supreme, having traversed the globe paying his way with odd jobs and during those travels, met his wife in Texas. Interestingly, I believe that his brother married his wife’s sister. Adrian eventually began teaching for Washington School District at our flagship whole language school, Sunnyslope, where for a time Hugh Callison was also the music teacher. Adrian was a superb athlete, excelling in many sports, including golf, distance running, rugby, soccer and, of course, tennis. Adrian and his family eventually joined me in Kuwait where they remained for several years after my return to the US. I don’t recall exactly how we began this long association for tennis doubles. I seem to recall that Hugh and a friend of his played singles and somehow Joe and I, who had played singles a few times, were invited to join them for doubles. Hugh’s friend eventually withdrew and then Adrian joined us. And this was the group that stayed together from the late 1980’s until 1996 when I resigned my Washington School District job to take a position at the American School of Kuwait. How the four of us matched up as doubles players was quite interesting. Joe was an accomplished player, served very well with perfect form and could hit well from either his backhand or forehand sides. I was still a learner with an improving serve and developing strokes. Adrian was also an accomplished player with a great serve and strokes and also some incredible speed to cover the court. Hugh was a more like me – but with a slower serve and developing forehand and backhand, but an excellent net player. All considered, with Joe and I on one side of the net and Hugh and Adrian on the other, we were quite evenly matched, very competitive and played some great very exciting close games, sets, matches and tiebreakers. One of the best features of our long doubles association was a treasured and appreciated refreshments tradition. Hugh, being a connoisseur of fine coffees, did the rest of us the favor of bringing along a big thermos of steaming delicious coffee, along with cream and sugar for certain of us. I think that he usually brought the Styrofoam cups as well. The other three of us took turns bringing doughnuts, blueberry muffins, coffee cake or something similar to accompany the coffee. So after every doubles match on those many precious and memorable Saturday mornings, we sipped the latest flavor or brand of Hugh’s coffee and ate something sweet, while reflecting on aspects of the tennis match or school matters, easy since we all worked for the same district. Or we reflected on greater things, like world affairs and elections, or occasionally on personal matters like wives, families and children. Our Saturday doubles went on faithfully every Saturday for many years. When someone would have to be absent he or the others would invite a substitute. And there were several very amazing and memorable substitutes, among them a Kindergarten teacher at Acacia school, Theresa Frankel, who not only was an excellent player, but attractive and fun to play against as well. And there was Dr. Tom Halydena, an ASU professor who had employed my spouse as a research assistant for a year between teaching jobs. Tom was also a highly skilled player too, especially in doubles. Our group met mainly at a public court near one of our Washington District schools but also made a practice of meeting at different public tennis courts around the city, playing on at least a half dozen different courts. We did so for many reasons, perhaps one set of courts was conveniently closer to several group members’ homes or to an impending Saturday morning obligation, or perhaps our “home” court was being repaired. During our sampling of different courts, we even wandered onto the tennis courts of some of the many Phoenix area resorts, pretending for that early morning that we actually had a right to be there. We also played once or twice at La Camarilla, the club to which I belonged and used primarily for working out, but at which I took a few tennis lessons and joined the singles league mentioned earlier. Being a member of this group for so many years was a marvelous experience. Sweet also as the feeling of camaraderie, mutual support, respect and appreciation while playing, freely complimenting one another on a great return, a service ace, net shot or an especially long and taxing rally. We enjoyed winning but mostly played for fun, never getting upset about losing, while always appreciating the success of the opposing team or its members. We celebrated the purchase of a new racket or tennis shoes by one of us or other efforts to improve our respective games, like a new grip material or new racket shape. I recall Joe trying a version of the “Michael Chang” racket, with a slightly extended handle, to help his serve and reach (not that he ever needed it!). 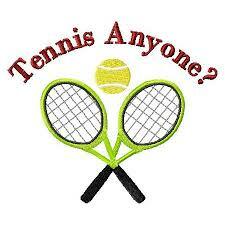 Or a couple of us would try a two-handed backhand (voila, effortless topspin!). Adrian of course could work his court magic with any racket, or maybe even a ping pong paddle, with his unbelievable speed, range and variety of shots. Best of all, however, was the conversation, the insight, the empathy, the repartee and the warm friendship that characterized our group. But, like all good things, it had to finally and sadly end. But, thank God, the memories remain and thrill to this day, some two decades later. Today, I still see Joe occasionally to reminisce over old times, commiserate over politics in Washington or share our newest aches and pains. And Joe and I still share email from time to time. According to Facebook information, Hugh still divides his time between his home in Houston and his vacation home in Prescott, Arizona and Adrian is now back in New Zealand with his wife and son. I have often entertained the dream, however unrealistic after all this time and the different directions our respective lives have taken, of once more getting together, playing a set or two of doubles and sitting down again together to enjoy some of Hugh’s coffee and some blueberry muffins.